After steaming almost 100 miles north west of Land's End and having shot her gear last night, the netter Ajax reports that she is now dodging (keeping the boat head-to-wind in order to reduce the effect of the bad weather) alongside the Padstow netter, Sparkling Line. 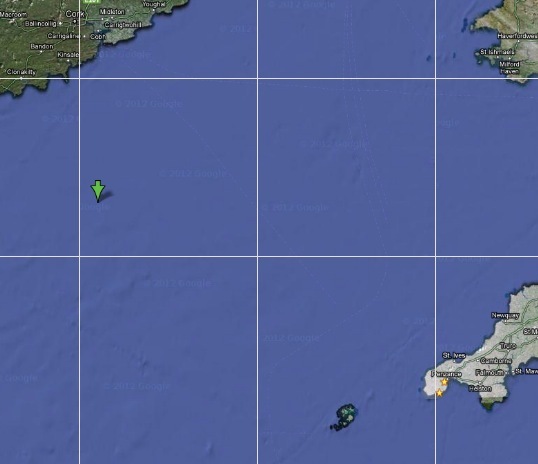 The boats are not too far from the Kinsale Gas Field and the site of the wreck, Luistania, which is about 12 miles off Kinsale Head..
We keep in touch with our Buyers as days go on. 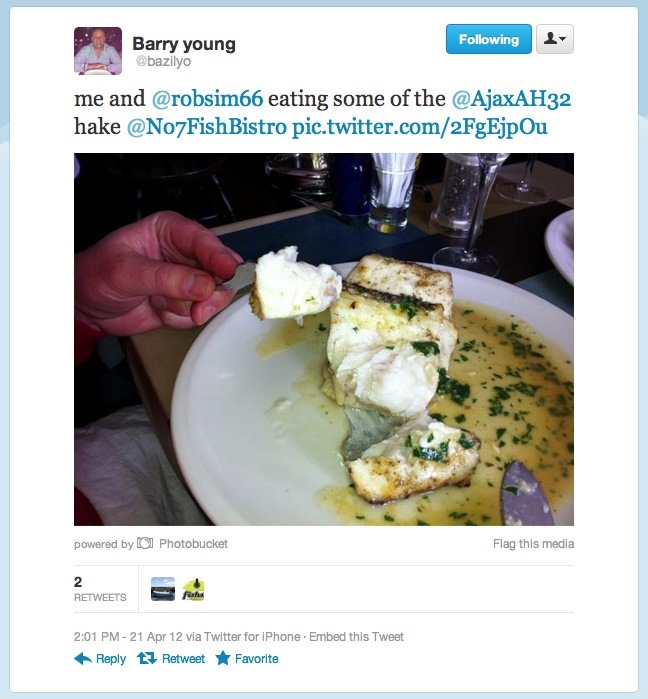 New to the Ajax web site is an entire page devoted to delicious hake recipes. First chef to contribute a hake dish is Rick Stein from his new BBC book, Spain. Hake is eaten by more Spanish speaking people than any other fish and with good reason - it's top of the versatility table and is almost bone free - great for kids and those fussy friends! Just over two hundred boxes of hake landed, 100 for Brixham and the remainder for Newlyn's Monday morning market come ashore from the boat. 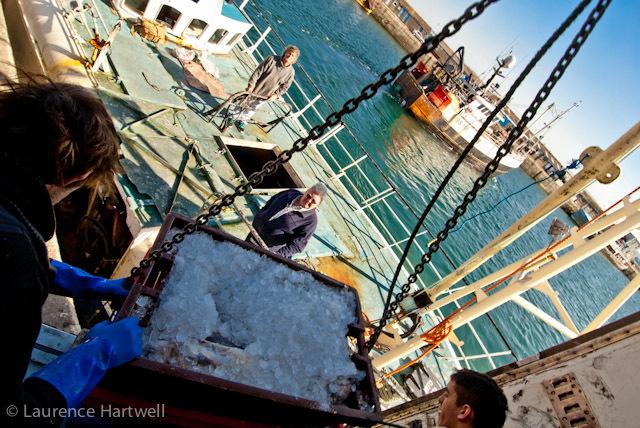 After taking 6 tonnes of ice on board its tome for a ten hour steam back to the grounds where the nets are still in the water - and there's plenty of French boats in the area to watch out for.